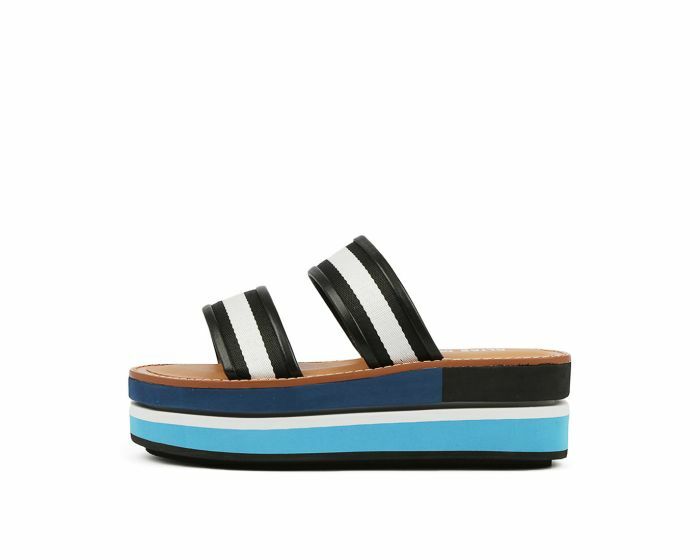 This flatform slide is anything but mini! A staggering style with a striped foam sole and leather-lined textile straps, this shoe is sports-luxe at its finest. For the ultimate casual look, pair it with high-waisted sweatpants and a cute slogan tee.